Mary J. Blige teamed her suit with gold pumps by Jimmy Choo. Mary J. Blige added more sparkle with a bedazzled clutch by Jimmy Choo. 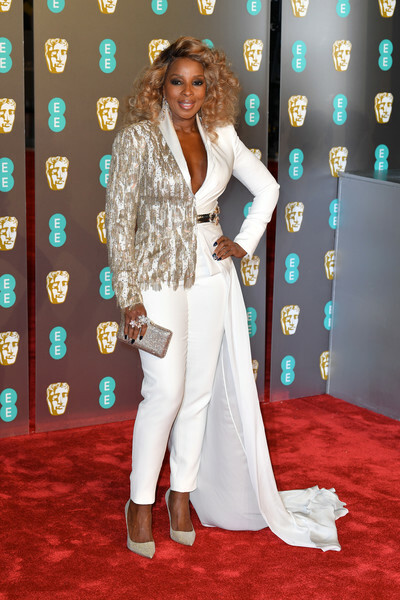 Mary J. Blige looked cool and glam in an embellished white pantsuit by Ralph & Russo Couture at the EE British Academy Film Awards.